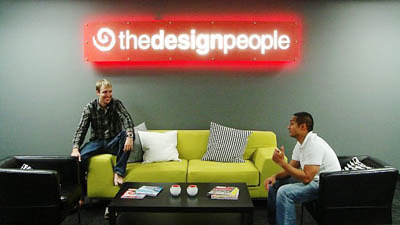 The Design People is a boutique web design studio founded in 1999. We have a 20-person office in Los Angeles supported by 100+ person office in Manila, Philippines. We have junior to senior level designers, developers, and programmers who are ready to work on your web projects. Our people are some of the best in the industry —having passed our own rigorous metrics, competency tests and adhering to industry standard and best practices. We have experienced web designers, web developers, art directors, web application programmers, mobile app developers, data entry professionals and virtual assistants. Our Manila office operates a full production facility so if you have an overflow of work and a looming deadline, brief us on your project and we’ll take care of it.